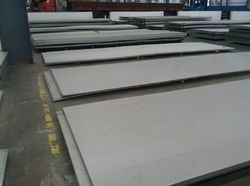 Offering you a complete choice of products which include duplex steel s32760 (en 1.4501) / 2205 / 31803 plates, stainless steel hot rolled 904l (uns n08904) plates sheets, cold rolled ss sheets 304 / 316 / 310 / 202 / j4 / 430 / 410, bright annealed steel strip / bright cold rolled steel strip, hot & cold rolled stainless steel coils 316l / 309 / 347h and stainless steel 316 / 304 shims & foils. Duplex stainless steels combine the best attributes of both austenitic and ferritic stainless steels and provide high strength/ductility with good corrosion resistance to corrosion (including stress corrosion cracking). This gives them a significant advantage over 300 and 400 series stainless steels. Simplex Metal & Alloys, An ISO 9001:2008 certified Co., highly specialises in Duplex Steel S32760 / ASTM A135 F55 Plates, as an Exporters all over the World. Simplex Metal & Alloys is an huge importer and stock holders of 904L Pipes & Plates. Our Stock range is as below. 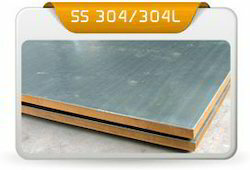 We request you to send us your valuable requirements for Duplex Steel S32760 Plates, for which you will be served the best. 904L is a high-alloy austenitic stainless steel with low carbon content. The grade is intended for use under severe corrosive conditions. Simplex Metal & Alloys, An ISO 9001:2008 certified Co., highly specialises is Stainless Steel 904L Plates as an Exporters all over the World. We request you to send us your valuable requirements for 904L Plates, for which you will be served the best. SIMPLEX METAL & ALLOYS is the best Stainless Steel Bars & Wires and Stainless Steel Sheets And Plates manufacturers, Suppliers and Exporters in Mumbai, India. RANGE OF SHEET & COILS : 0.5 to 5 mm Thickness in Sheet & Coil! etc. RANGE OF PLATE & COILS : 5 MM To 150 MM + Thickness in Various Size in Plat & Coil etc. Carbon Steel : IS 2062 / EN-8 / ASTM A 515 : 60, 70 / ASTM A 516 : 60, 70 / ASTM A 537 :Class 1, Class 2. 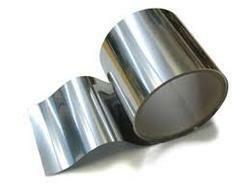 Alloy Steel : A387 Class 1 Class 2 Grade : 5, 9, 11, 12, 22. Duplex Steel : ASTM / ASME SA 240 UNS NO. S 31803 , S 32205 , S 32550 , S 32750 , S 32760. Boiler Quality : ASTM 516 Gr.70. 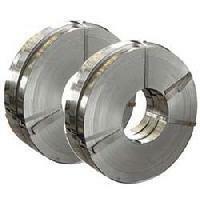 High Speed Steel : M2, M3, M35, M42 etc. Finish : 2B, 2D, HR, CR, BA (No. 8 & No. 4), Satin (Met with Plastic Coated). Flats, Blank (Circle), Ring (Flange) etc. Test Certificate : MTC, IBR TO. Lab.TC from Govt. App. Lab. with Third Party Inspection. 310S, 317L, 321, 347, 409, 410, 420, 430, 446, 202 Etc. & Angle, Channel, Tray Etc. The following table represents size range, product standards and material grades of Sheet, Plates. 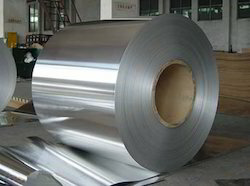 SIMPLEX METAL is involved in Manufacturing & Exporting of high quality stainless steel 316 sheets, stainless steel 316L plates, stainless steel 316 coils in thickness of 0.3mm to 120mm. that have found extensive applications in various industries. We also deal in Nickel and copper alloy, Stainless & Duplex Steel, Carbon & Alloy Steel, are the materials which are used for designing of stainless steel sheet, plate and coil. We are looking Enquiries from Gulf, Brazil , Russia and African countries. Our reputed client is spread across various counties like U.K. and U.S.A., U.A.E and Middle East. Type 316L is the low carbon version of SS 316L Plates. With the addition of molybdenum, the steel is popular for use in severe corrosion environments due to the materials immunity from boundary carbide precipitation (sensitisation). The material is widely used in heavy gauge welded components and weld annealing is only required where the material is for use in high stress environments. 316L has an extensive variety of uses especially in marine applications due to the materials high corrosion resistance. 316 stainless steel shim etc. 304, 304L, 304H, 309S, 309H, 310S, 310H, 316, 316H, 316L, 316 TI, 317, 317L, 321, 321H, 347, 347 H, 409, 410, 410S, 430. 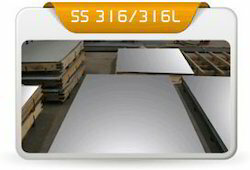 SIMPLEX METAL is biggest stockiest and supplier of Stainless Steel sheets , plates , Coils in Middle east covering GCC – Kuwait , Bahrain , Yemen ,KSA , Saudi Arabia , Qatar , Oman , Egypt , Afghanistan , Jordan , Africa ,Kenya , NIgeria . wooden boxes package or as customers requirement. 1. No 1 Finish : Used where Heat and corrsoion ressistance is required . Produced by annealing and resealing after hot rolling . 3. NO 2 B Finish : Bright Cold Rolled Finish . Used in very deep drawn objects .